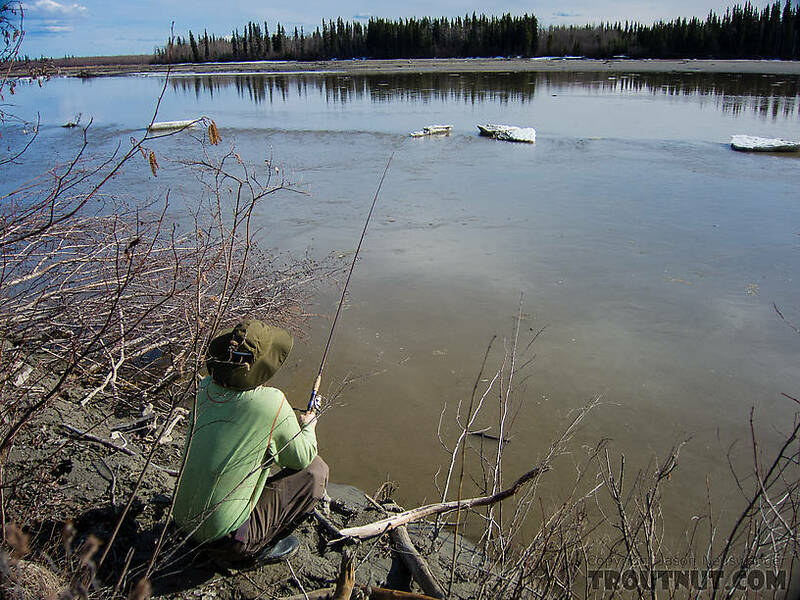 My wife and I checked out the Tanana for burbot this weekend, just a day or two after the Nenana Ice Classic tripod fell, indicating that the ice went out about fifty miles downstream. We found no sign of fish at the first spot we tried, which had open water with ice chunks floating around. At the second spot, we caught the ice break-up in action--a spectacular show to watch. 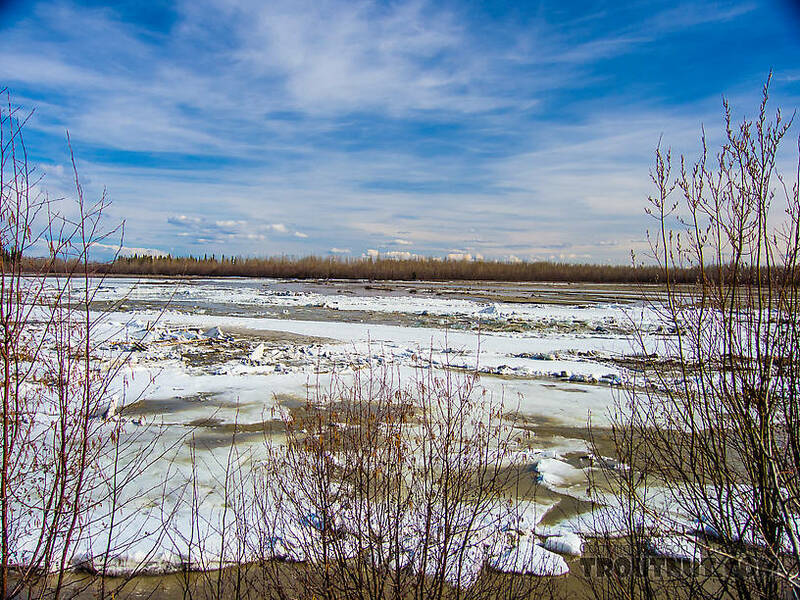 On April 26, 2014, we caught the last of the contiguous ice across the Tanana River near Fairbanks breaking up and washing away. Trying for burbot. I've taken a few small ones on setlines in this eddy in the past, but never tried on rod and reel. There were no takers. 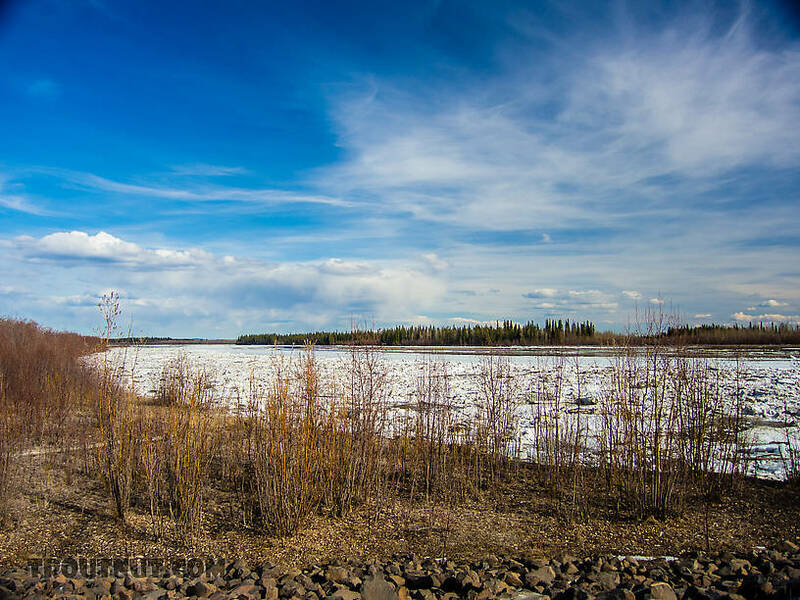 The last contiguous ice on the Tanana near town. On the right side of the photo, the river's original ice still extends all the way across. A rapid flow of water and ice is pushing in toward it from the left. Moments later, the original ice gave way and opened up a free-flowing channel packed with truck-sized icebergs. 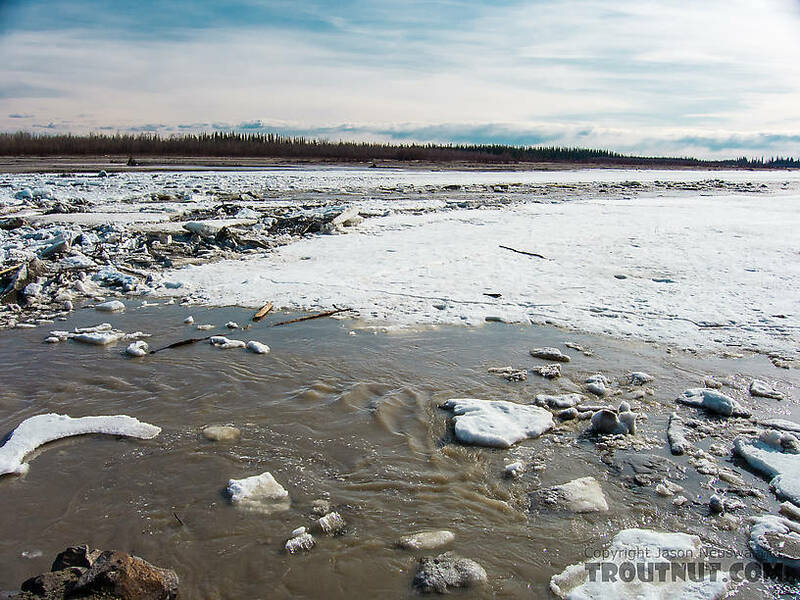 I added a short video of the ice crashing down the Tanana. It's an impressive sight. 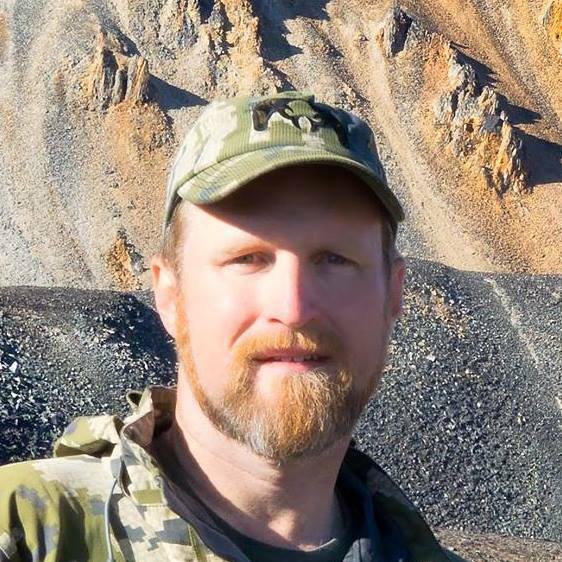 Wow, that's an amazing sight, Jason. Thank you for sharing it. Posts: 1776 Very cool. Thanks for sharing that clip, Jason. Lake Ontario's post-breakup could be exciting some years. Ah! And I remember the first time I heard big lakes "making ice". A long way from shore, sitting on a bucket, and BA-BOOM! Sounding like thunder. 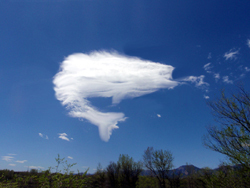 I'd stand up -fast!- and look all around with my heart pounding, half expecting a Kraken to take me to see Davy Jones. But after having drilled through over 2ft of ice, I knew that wasn't likely. But my adrenals weren't so sure! 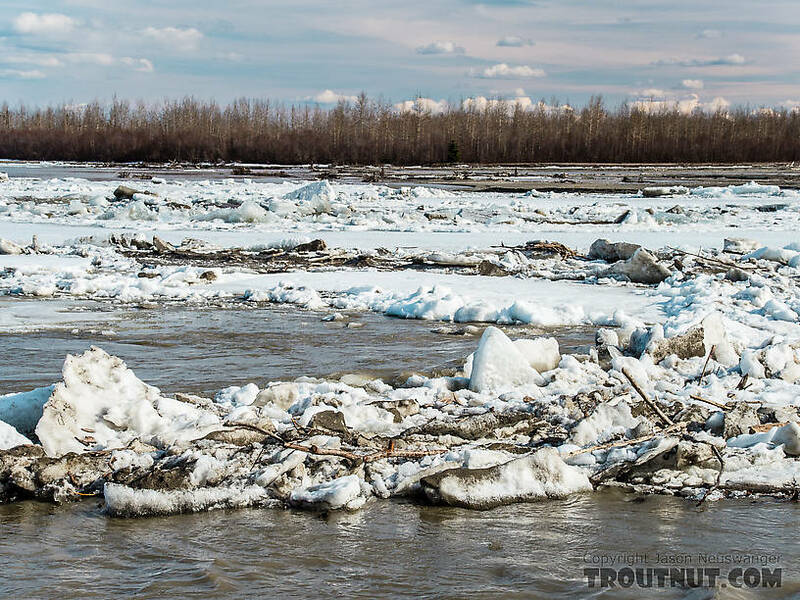 Posts: 2458 I added a short video of the ice crashing down the Tanana. It's an impressive sight.